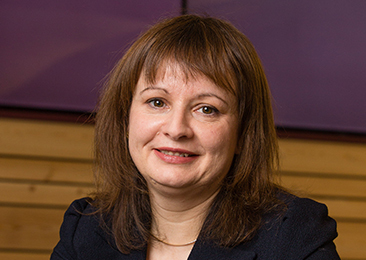 One of Scotland’s most-respected housing leaders, Olga joined Wheatley in 2013 from North Ayrshire Council where she was Head of Housing and Care. There, her transformation of services resulted in the local authority receiving an “A” rating from the Scottish Housing Regulator, Quality Scotland’s top award for Business Excellence and COSLA’s Gold Award for Innovation in Services. She has substantial experience in commissioning, contracting and developing care services and partnerships and consistently has achieved excellent Care Inspectorate ratings. During her 25-year career, Olga also has led service integration with the NHS and made significant contributions to national policy development, most recently serving on the Ministerial Strategy Group on Homelessness and the National Delivery Group for the Integration of Health and Social Care.